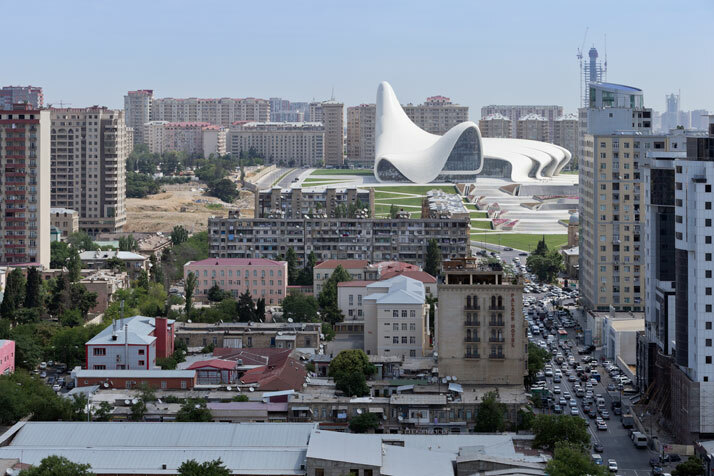 Program: Mixed-use cultural center Procurement Design-build. 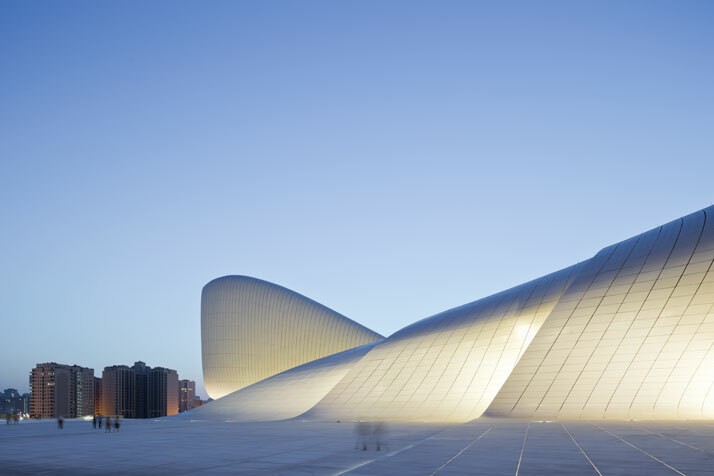 Total floor area: 101,801 m2. 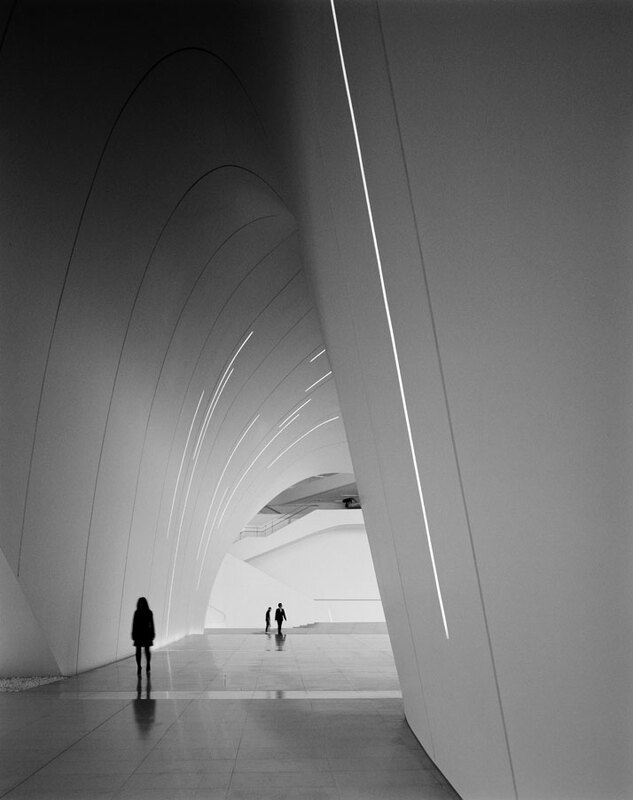 Photography: Iwan Baan, Hufton + Crow, Helene Binet. 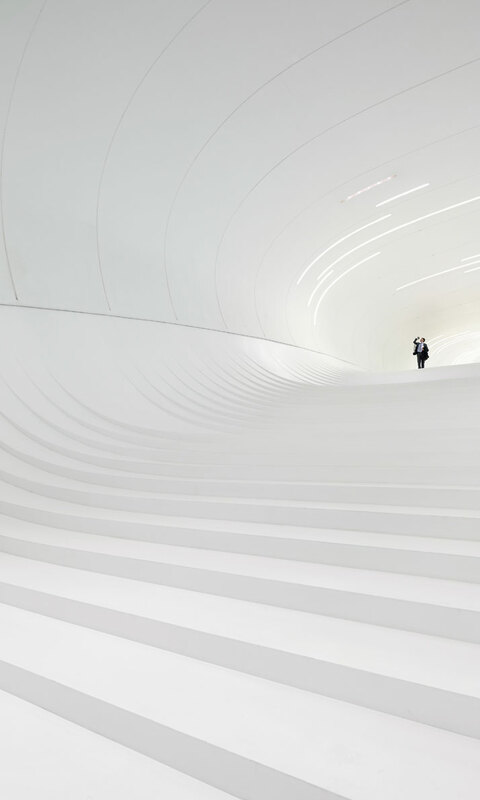 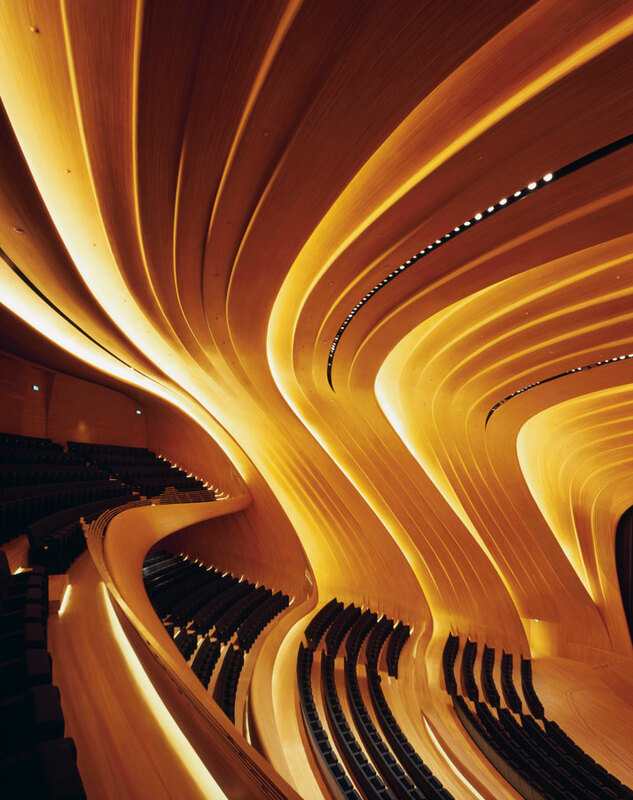 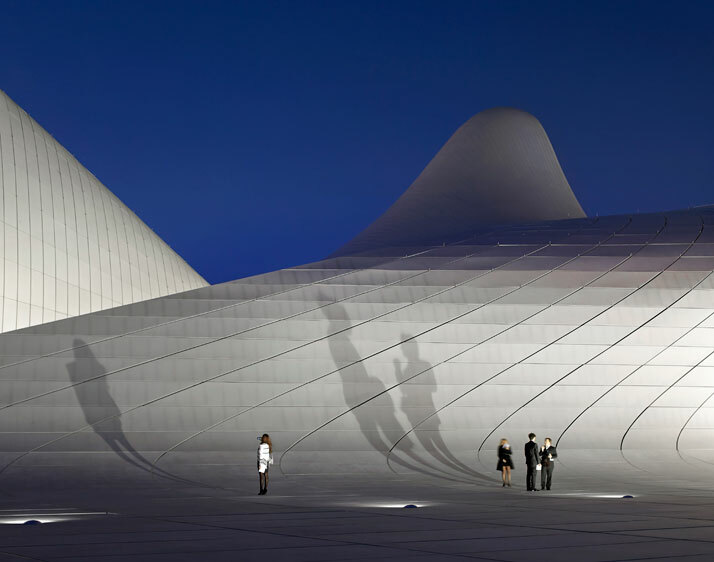 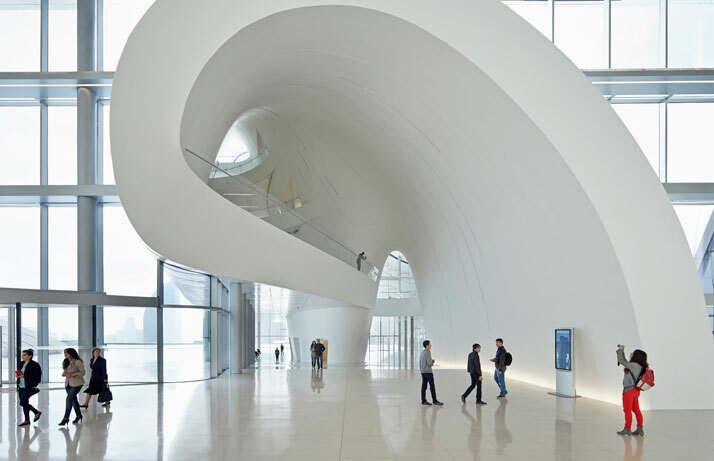 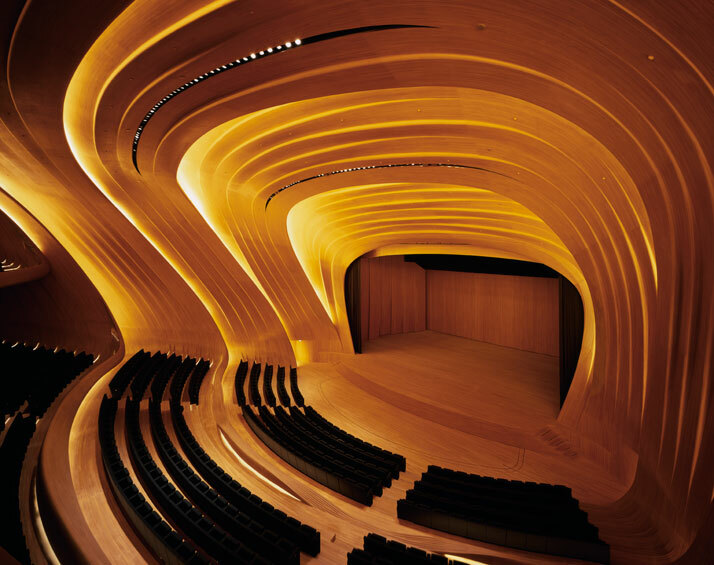 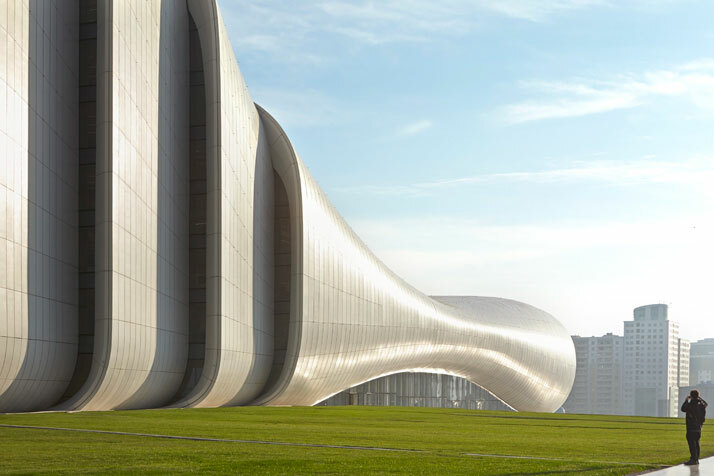 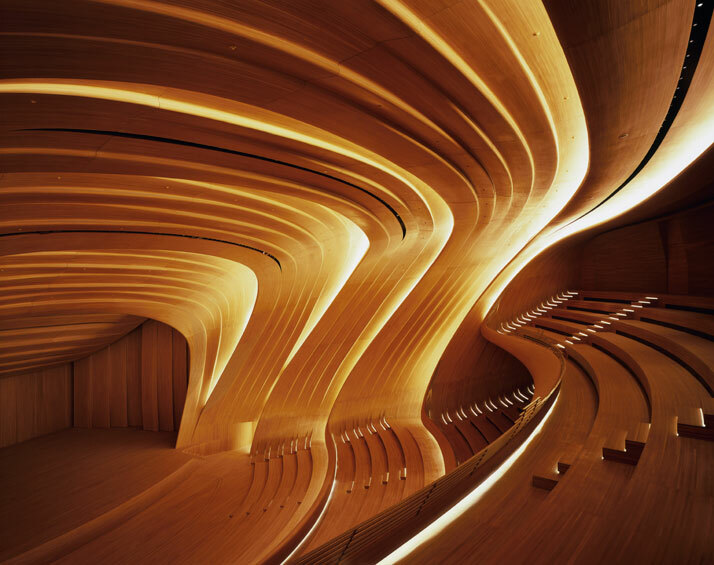 Zaha Hadid Architects was appointed as design architects of the Heydar Aliyev Center (Heydər Əliyev Mərkəzi) following a competition in 2007. 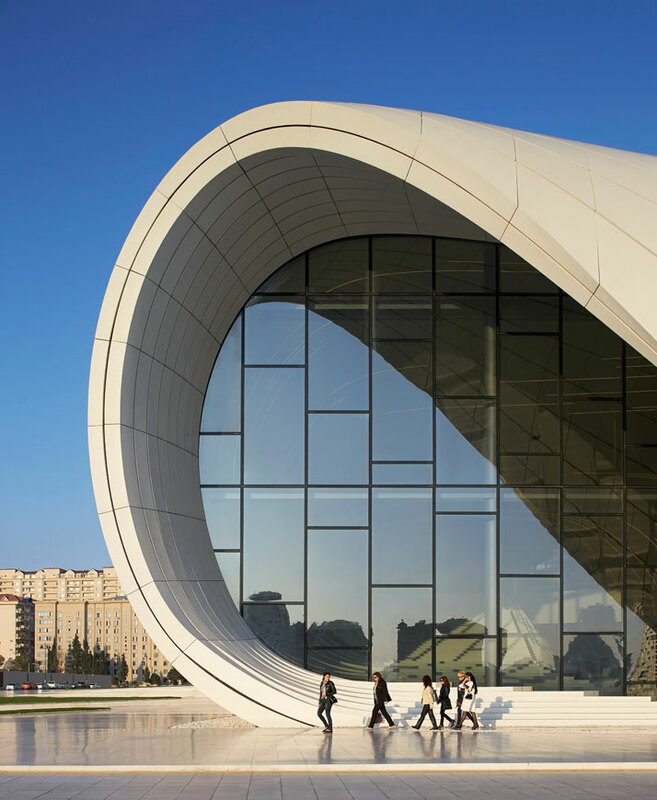 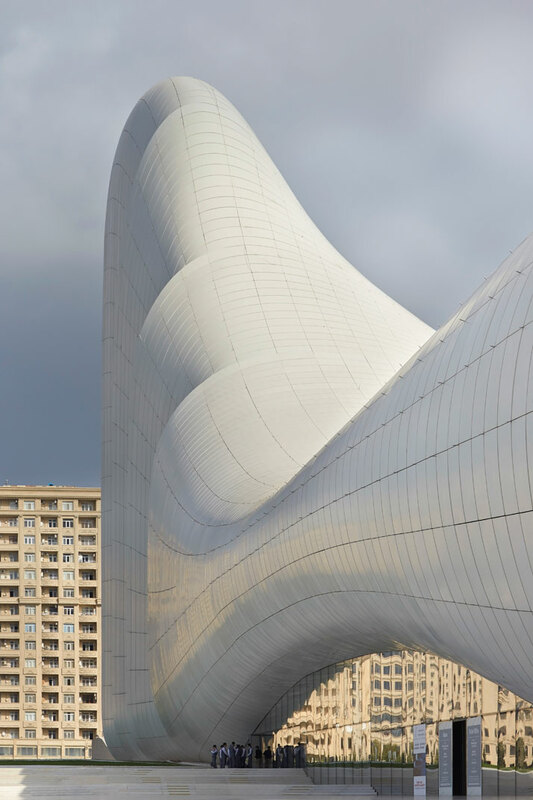 The Center, designed to become the primary building for the nation’s cultural programs, breaks from the rigid and often monumental Soviet architecture that is so prevalent in Baku, aspiring instead to express the sensibilities of Azeri culture and the optimism of a nation that looks to the future. 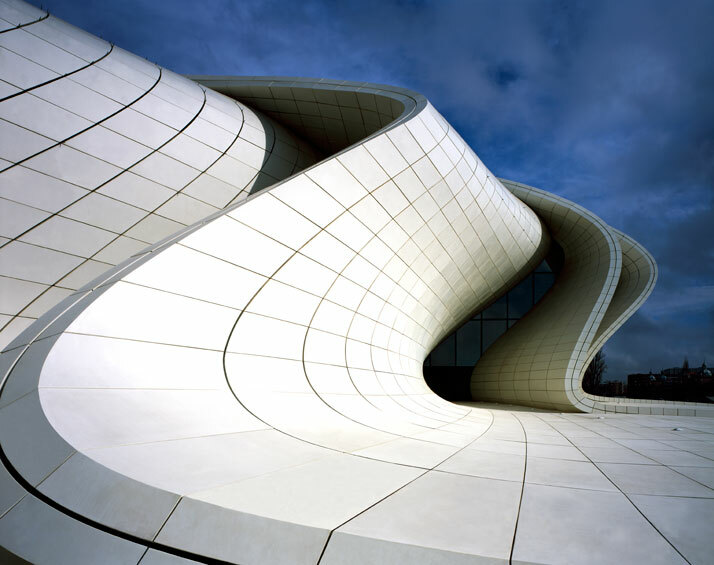 Fluidity in architecture is not new to this region. 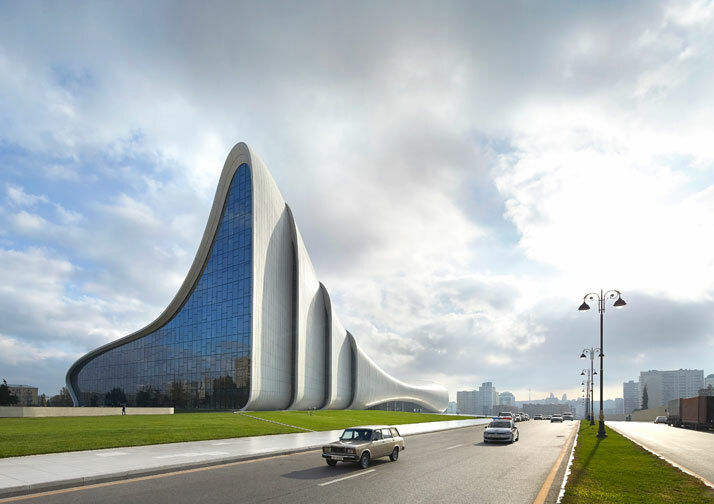 In historical Islamic architecture, rows, grids, or sequences of columns flow to infinity like trees in a forest, establishing non-hierarchical space. 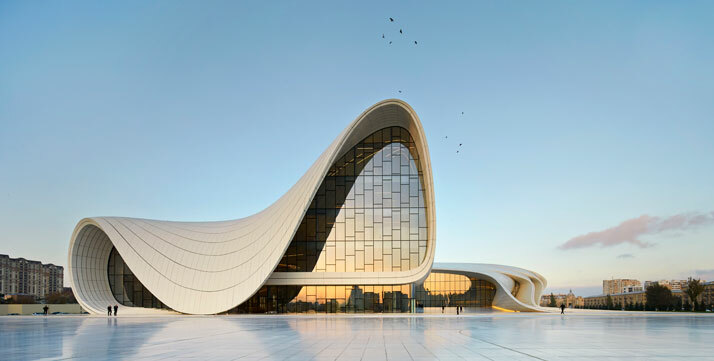 Continuous calligraphic and ornamental patterns flow from carpets to walls, walls to ceilings, ceilings to domes, establishing seamless relationships and blurring distinctions between architectural elements and the ground they inhabit. 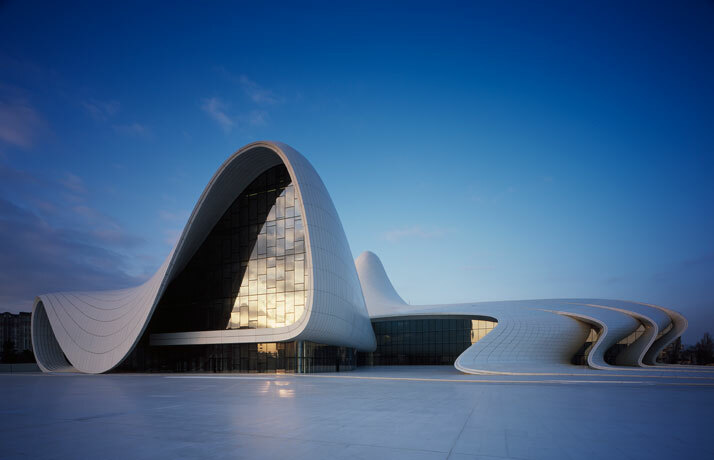 Our intention was to relate to that historical understanding of architecture, not through the use of mimicry or a limiting adherence to the iconography of the past, but rather by developing a firmly contemporary interpretation, reflecting a more nuanced understanding. 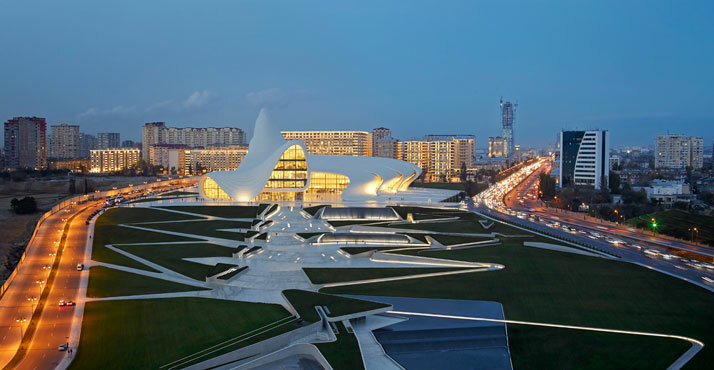 Responding to the topographic sheer drop that formerly split the site in two, the project introduces a precisely terraced landscape that establishes alternative connections and routes between public plaza, building, and underground parking. 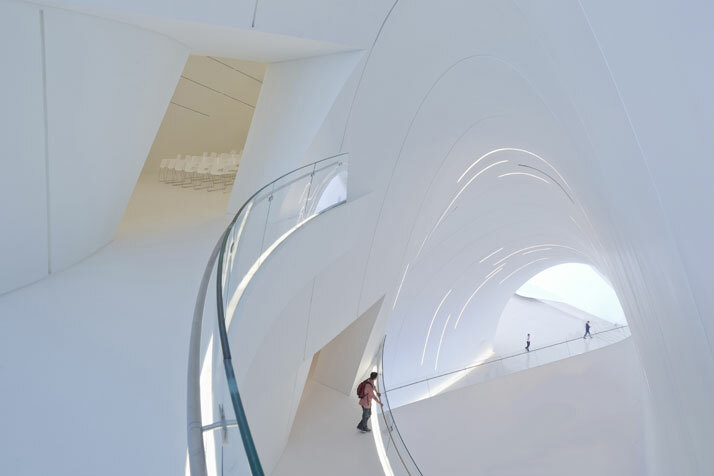 This solution avoids additional excavation and landfill, and successfully converts an initial disadvantage of the site into a key design feature.